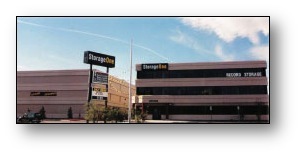 Multi-Story Self Storage is on the Rise. Mako Steel's Multi-Story Self Storage Building Systems are Remarkably Economical. As land costs have risen, so has demand for multi-story storage facilities. Mako Steel's systems are remarkably economical and effective. 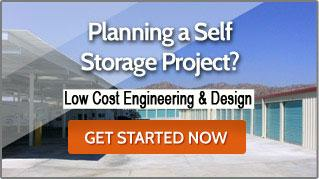 Mako Steel Has Been the Leader in Innovative Ways to Build Multi-Story Self Storage. With our headquarters in Sunny Southern California, we were one of the first Steel Building Companies to establish design standards for Vertical Self Storage Construction, and continue to be recognized as one of the experts in this form of construction. Mako Steel Will Customize Your Multi-Story Steel Structure Design to Meet Your Exacting Requirements. Having been involved in hundreds of Multi-Story Self Storage projects over the years, our design and drafting staff, as well as our project management and estimating team, help clients that are looking at a small footprint parcel to design a floor plan that will minimize structural steel requirements and maximize your return on investment. Mako Steel's Multi-Story Self Storage Buildings Are Designed to Last and Look Great. Because Multi-Story projects tend to be located in more urban and highly populated areas, the typical industrial “Metal Building” aesthetic may not be the right direction. Mako Steel has the ability to incorporate CMU, Tilt-Up, Built-Up Roofing, Stucco and other architectural embellishments to provide the “look” that your local jurisdiction requires. If you are planning a Multi-Story Self Storage Building Project, you will want to download our Multi-Story Budgeting Guideline. And don't forget that we offer low cost Design and Engineering Services to help you plan and build your project.